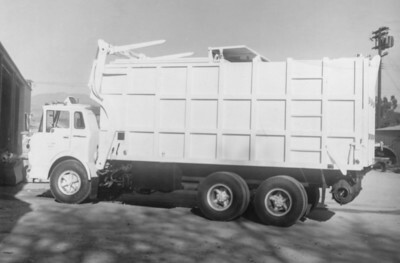 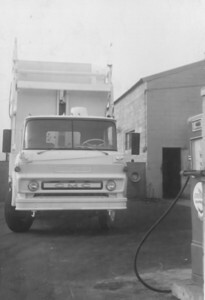 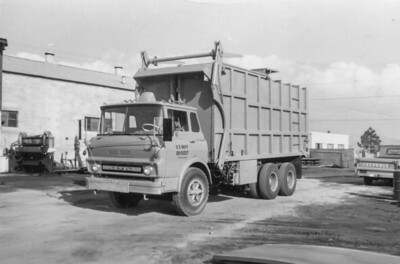 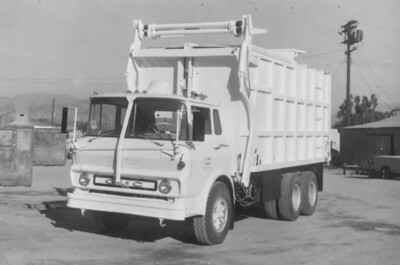 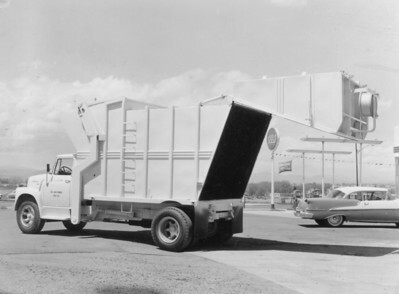 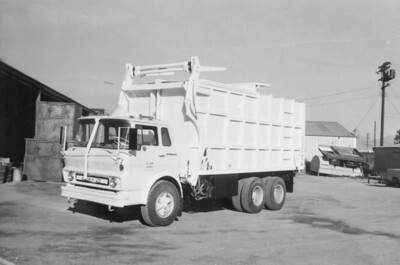 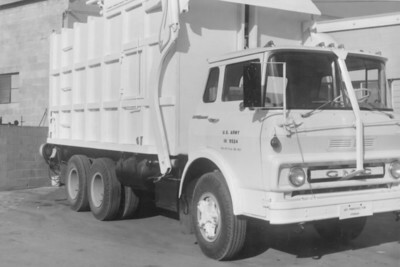 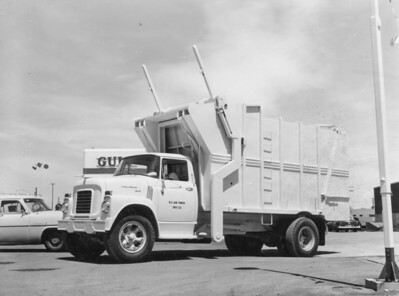 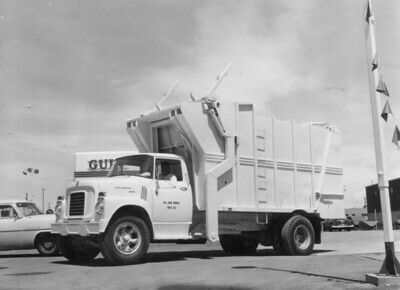 This unusual looking truck is one of two sold to the U.S. Air Force Academy in 1958. 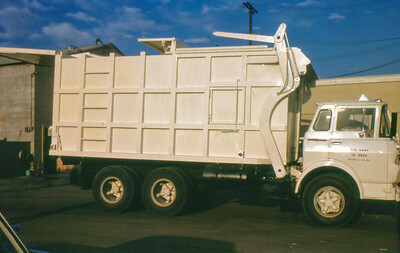 The model BF-16-FL (Full-Pack) features side forks and two 6-1/4" cylinders that operate the packer blade. 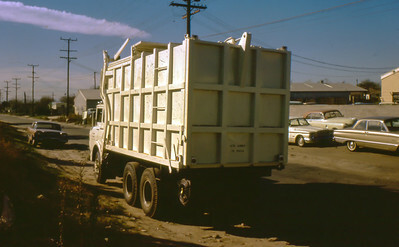 These Bowles full-pack models were listed as having telescopic packing cylinders, but this short-bodied version may have been able to make use of single-stage rams instead. 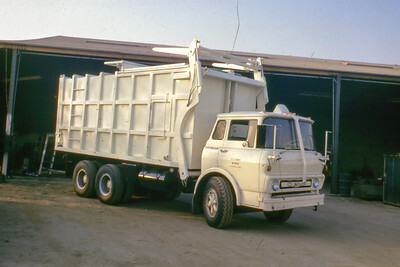 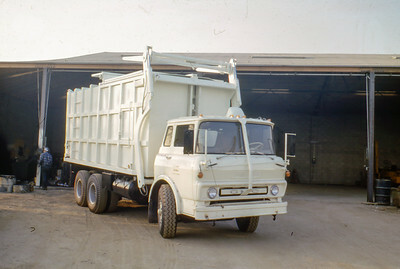 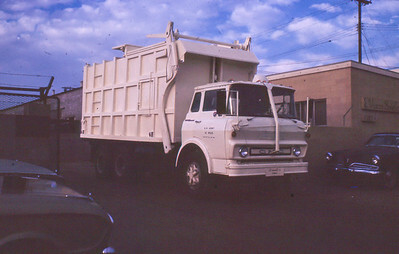 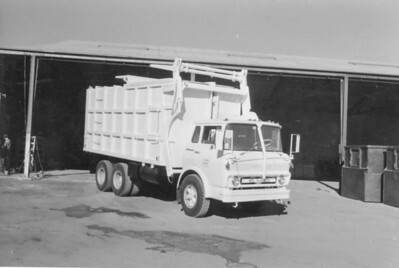 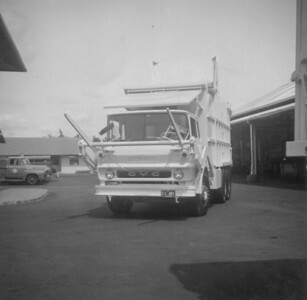 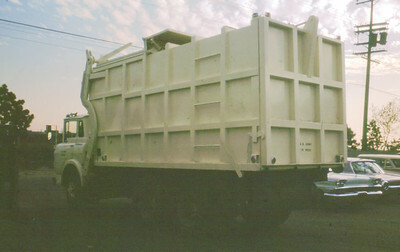 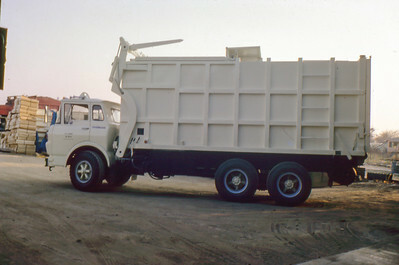 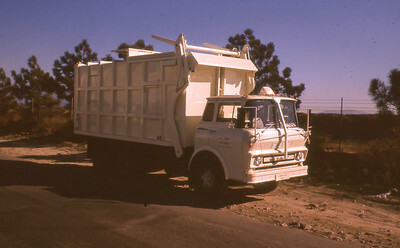 Because of the unusual design of the tailgate and body (bisected at an angle), the blade does not travel the entire length of the body; it was only necessary that it reach the rear edge of the floor to unload. 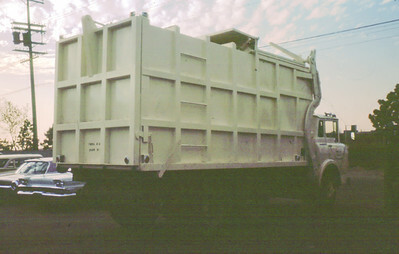 Any refuse trapped in the tailgate would fall out when it was hydraulically raised. 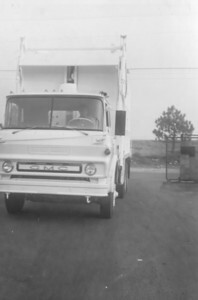 This was an ingenious way of shortening the length of the cylinders needed to eject the load. 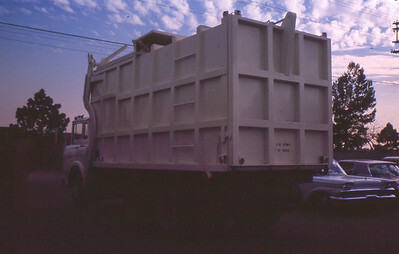 Capacity was 25 cubic yards.